I only meant to borrow the PHA-3 from our product testing folks for a quick look to verify some details. I only meant to borrow the PHA-3 from our product testing folks for a quick look to verify some details. But when I unboxed it, my curiosity got the better of me. This thing was cool. I just had to plug in my iPod® for a quick listen. Well, that quick listen turned into an entire afternoon of rediscovering my music library. The sound of the PHA-3 was positively addictive. I immediately noticed details I'd never heard before buried way down in the mix on many favorite, long-familiar tunes — vocal harmonies, instrumental lines, finger snaps, and reverb tails — it was almost like hearing those songs for the first time. I couldn't stop listening. When I finally looked up, hours had passed. With standard and balanced headphone outputs, plus a precision high-res DAC, the PHA-3 will make the most of your headphones and music collection. Small enough to take almost anywhere, the PHA-3 lets you enjoy a reference-quality headphone listening experience wherever you go. 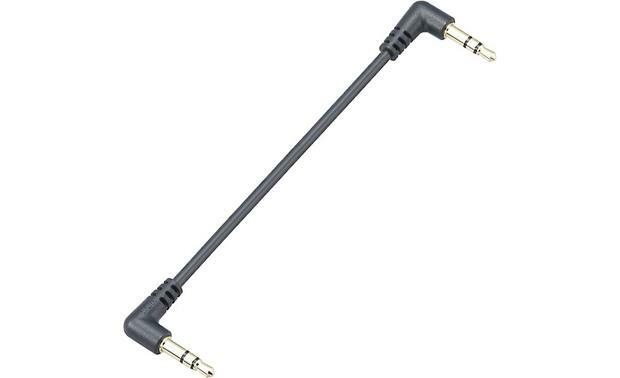 You connect the PHA-3 between your music player's or computer's headphone jack or digital output and your headphones. Whether you run your audio through the PHA-3's headphone amp alone, or through both the amp and built-in DAC, your tunes will jump with newfound clarity and punch. And for high-res music lovers, the PHA-3 can decode PCM digital audio signals up to 32-bit/384kHz resolution and DSD audio sources at 2.8MHz / 5.6MHz, so you can enjoy better-than-CD audio quality. This potent headphone amplifier's rechargeable battery supplies the power you need to pump out lifelike, richly detailed sound. The PHA-3 works with a wide array of devices. 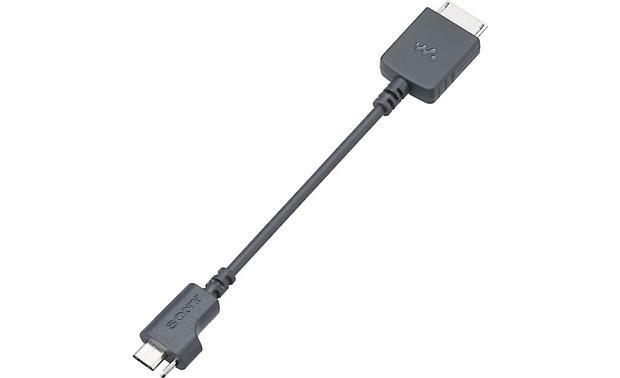 Two separate USB ports give you a direct digital connection for your iPod/iPhone®/iPad®, Sony's Hi-Res Walkman, and a PC or Mac®. 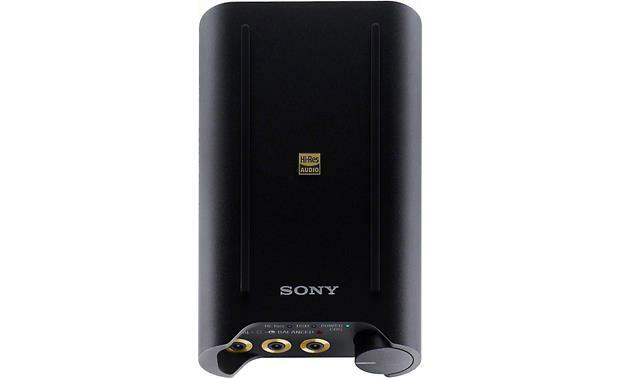 This allows the Sony to bypass the DAC in your player or computer, and decode your tunes with the superior audiophile-quality precision of its ESS Sabre DAC. An optical digital input lets you add a compatible disc player. The PHA-3 also includes an analog input for plugging in most MP3 players, smartphones and other audio devices, as well as a line output for connecting to a receiver or self-powered speakers. And this is the first portable DAC/amplifier we've seen that boasts balanced headphone outputs, making it a perfect match for Sony's MDR-Z7 headphones. Built like a Swiss watch, this Sony's rugged aluminum enclosure protects the precision circuitry inside from outside interference and impacts. Protective built-in end caps also help protect the volume knob and headphone connector. Plus, recessed control switches reduce the chance of accidental access during playback. Can this unit receive a charge while in use connected to an Iphone and headphones? Yes! I have played music from my iPhone for most of a day burning-in headphones connected to the PHA-3. The DC-in via a mini-USB cable from a USB charging block will keep it running all day. Overview: The Sony PHA-3 is a battery-powered portable DAC (digital-to-analog converter) and headphone amplifier that lets you listen to high-resolution audio through your headphones. 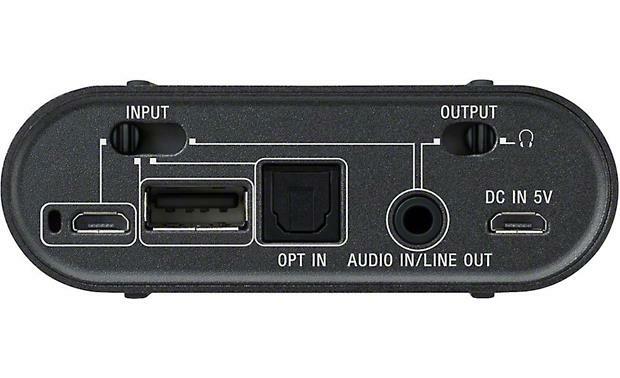 You can connect a PC, an iPod/iPhone/iPad, or a high-res capable Walkman to the unit using one of the three USB inputs. It will also work with analog devices as well. Internal Components and Construction: The PHA-3's ES9018 DAC samples PCM audio at up to 384kHz/32-bit, and DSD audio at 2.8/5.6MHz. The OPA2604 headphone amp provides a wide 130dB dynamic range to make sure you can hear every detail in the music. On the outside, the unit features a compact black extruded aluminum enclosure to protect the inside circuitry and components. Aluminum alloy endcaps provide further protection of the connecting cables and volume knob from hard impacts. The controls are recessed to reduce accidental access during playback. USB 2.0 Clock: The DAC is equipped with an asynchronous USB 2.0 clock signal generator that reduces timing inaccuracies when converting digital signals into analog waveforms. This results in a highly accurate DA conversion and jitter-free audio for superior audio reproduction that is as close to the original recording as possible. 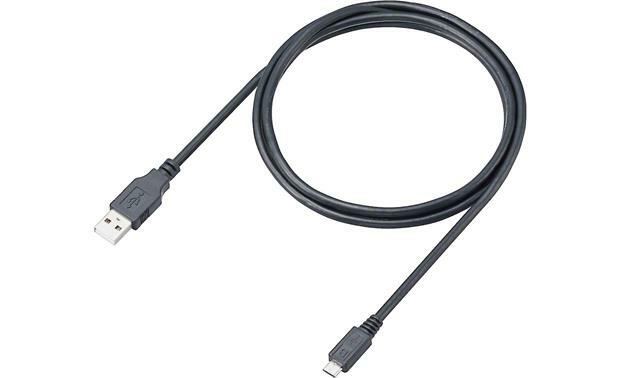 Digital/Analog Connections: The PHA-3 has three USB digital inputs: a Micro USB port for PC and charging, a Type A USB for connecting an iPod/iPad/iPhone, and a Mini-B USB with an extra pin for connecting a High-Res supported Sony Walkman. The front panel features three 3.5mm jacks--a stereo "normal" headphone output and a balanced left/right pair for connecting headphones that accept balanced connections, such as the Sony MDR-Z7. 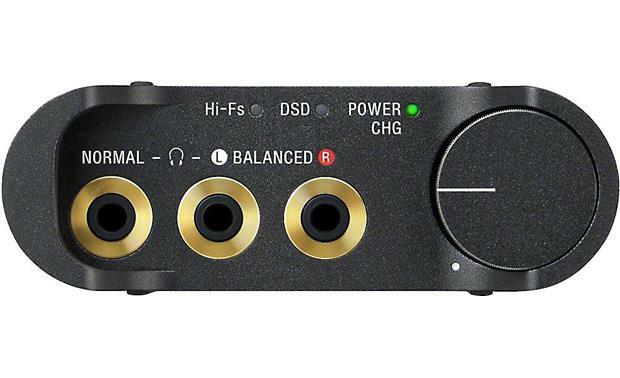 Note: The 3.5mm inputs only support 3-pole stereo miniplugs. For this reason, headphones with on-board or in-line remote controls will not work. When the analog 3.5mm input is used, no audio is output from the Balanced L/R outputs, only the Normal headphone output jack. Controls: The front-mounted large power/volume control knob has plenty of headroom to let you set the volume just where you want it. A 2-position Gain switch (normal/high) on the side lets you match the headphone amp to various headphone impedances from 8 to 600 Ohms. Another 2-way switch is provided for selecting the output--headphones or the line output. On the back, there's a 4-way slide switch for selecting between the three USB inputs and the analog input. DSEE-HX: Sony has included their DSEE-HX "up-scaling" technology in the PHA-3. DSEE-HX uses an algorithm to analyze the music, and automatically replace the "lost" information. DSEE-HX (Digital Sound Enhancement Engine) gives your highly-compressed MP3 and AAC music files new life so they sound almost as good as true Hi-Res Audio quality. You can turn on/off DSEE-HX via a 2-way switch on the side of the PHA-3. Lithium-ion Rechargeable Battery: The PHA-3 is powered by a built-in 3.7-volt Lithium-ion rechargeable battery. Battery life is approximately 28 hours at 1 mW + 1 mW output (24Ω) with a analog connection, and about 5 hours with a digital (balanced) connection. The battery charges in approximately 15 hours via USB when connected to a computer. With the optional AC-UD20 USB AC adapter, charging time is reduced to 6 hours. Computer: The unit can play digital audio files stored on your computer. The unit includes a Micro USB cable for connecting it to your computer's USB Type A port. The PHA-3 is compatible with the following Operating Systems: Windows 8.1, Windows 8, Windows 7 (SP1), Windows Vista (SP2), and Mac OS X 10.6.8 or later. 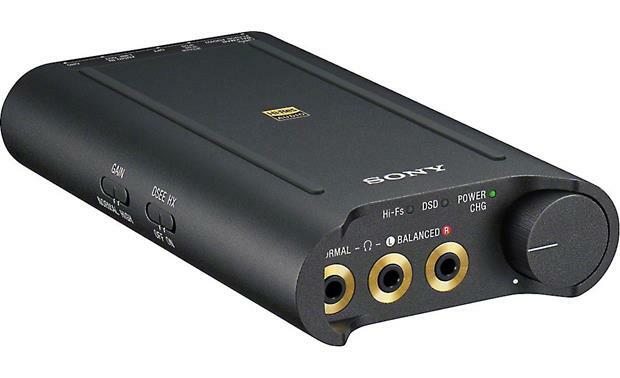 Note: For Windows PCs, you must first install the driver software "Sony Portable Headphone Amplifier USB Audio 2.0 Driver" before connecting the PHA-3. Playing high-resolution audio files on your computer may require you to download and install "Hi-Res Audio Player" software to your computer. Other Devices: The PHA-3 lets you listen to music on other audio devices, such as a smartphone or portable music player, through the analog audio input. Silicone Belts: The PHA-3 is designed to allow you to conveniently attach your portable device to the top. Two rubber rails, approximately 1-3/4" apart, let you rest your player on the top and secure it with two of the provided silicone belts. If your player is not wide enough to rest on the rails, a silicone rubber protection mat is provided to prevent scratches. Is there a option for a charge direct from an AC outlet to reduce the charge time? 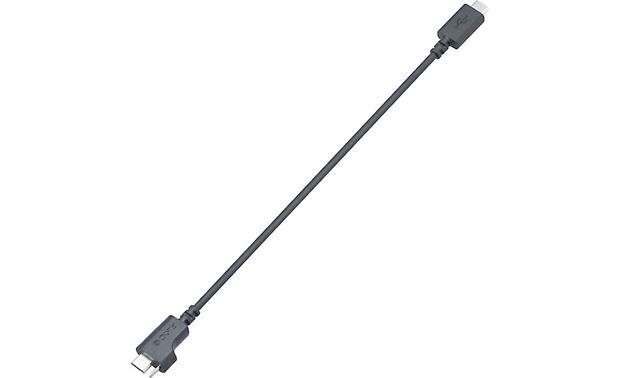 You can only charge the unit from a USB with the supplied cord. You can use a 120 volt to USB adapter with the charge cord plugged into it or a USB outlet in a laptop. The red light goes off after about 10 hours, but as I understand it charges in about 6 hours. The battery charges only when the headphone amplifier is off. Searches related to the Sony PHA-3 Portable headphone amplifier/DAC.